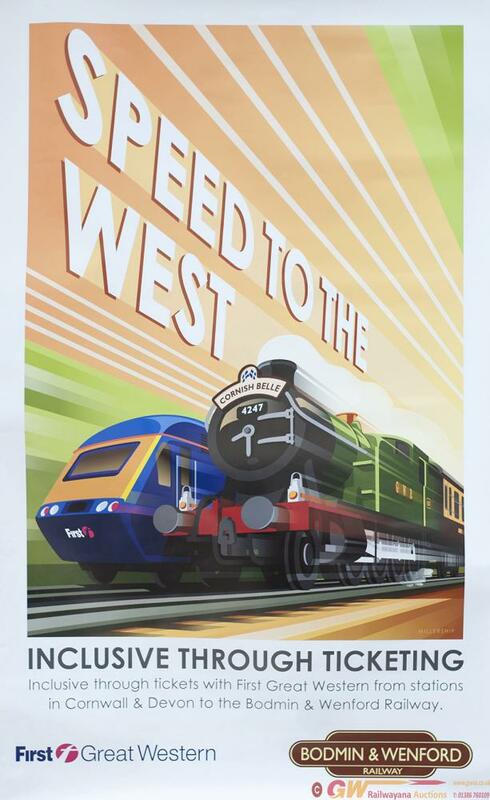 Poster SPEED TO THE WEST By STEPHEN MILLERSHIP. Poster SPEED TO THE WEST by STEPHEN MILLERSHIP. Issued by First Great Western and The Bodmin and Wenford Railway. Double Royal 25in x 40in. IN mint condition. NOTE This modern classic was not commercially available.